282 pages | 400 Color Illus. Why take months to learn every button in 3ds Max when you can create great visuals with just a few key tools? Utilize the tool of choice, 3ds Max 2014, for generating realistic environments, seamless CG effects, and jaw dropping games in a matter of hours. You can use the memory-hogging methods that choke your display and take forever to render, or you can get it done quickly and efficiently. Michael McCarthy offers a goldmine of artistic inspiration, timesaving tips & tricks, and step-by-step walkthroughs—you’ll wonder how you every got by without it! Start animating today with detailed tutorials, source files, bitmaps, and video demonstrations—all featured on the companion website. This new edition has been completely revamped for 3ds Max 2014. You will find coverage on brand new features and tools such as Scene Management, iRay, Nitrous, Mass FX, and particles and physics. 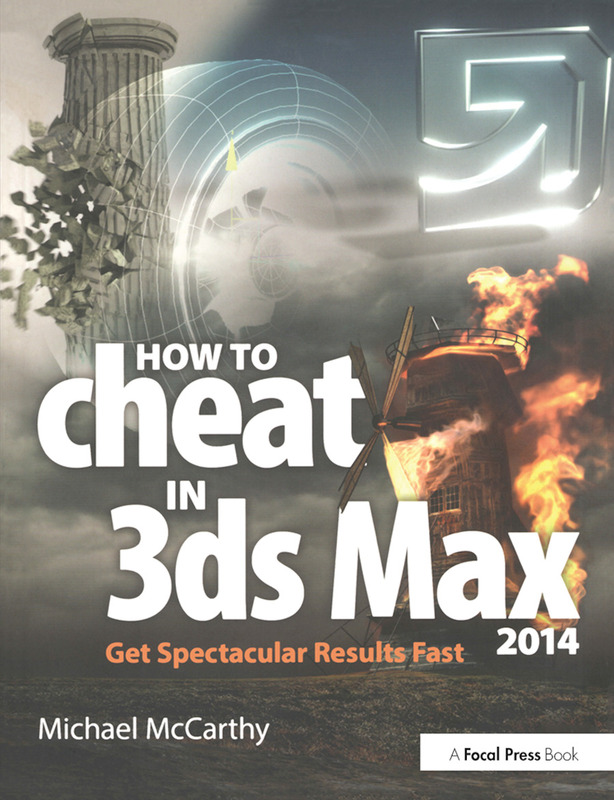 How to Cheat in 3ds Max 2014 features interviews with industry professionals that will help you gain the edge you need in the competitive world of animation. "My first impression was 'WOW!' and my second impression was, 'This is what reference material should look like!' The balance between illustration and text is just right for visual people-aspiring 3D artists will love it.? "This excellent book will inspire anyone to dig a little deeper into this incredible piece of software.? "Moving past what a tool does, Michele details various combinations of features in the application and their importance to completing commonly requested, real-world tasks for visual effects, games, and design visualization alike.? "Michele is at it again with updated workflow techniques in a format that makes the tips and tricks readily accessible as an essential desktop companion. If working smartly can be called 'cheating,' then this is cheating at its best. There is a lot here for beginners and advanced users alike. Good luck and have fun.? "This newly updated version conveys the fun and fast side of 3ds Max. Bousquet has packed the pages with colorful and quick tutorials that help you master all of 3ds Max's main concepts.? -Jim lammers, President, Trinity animation inc.
"In addition to the excellent tips and tricks uncovered in this book, I found the illustrations easy to follow, informative, and fun. I highly recommend this book to 3ds Max users of all levels. ?